The beautiful natural landscape of the Dominican Republic is a magnificent tapestry reflecting the indelible marks left by European, African and native Taino cultures. Visitors can experience the country’s unique customs and traditions as they enjoy these top five holiday destinations. Dominican Republic holidays combine a rich history, beautiful weather and great night life, making this destination a trip of a lifetime and a great escape from the cold weather blues. The capital of Santo Domingo is a bustling, cosmopolitan city. Once the seat of Spain’s colonial empire, the Zona Colonial is a UNESCO World Heritage Site. It is a dazzling milieu of historical cathedrals, castles and homes. 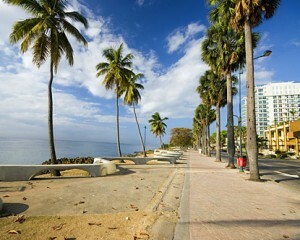 The Malecon waterfront boulevard plays host to shops, restaurants and numerous annual festivals. Guests can stroll through several beautiful parks including the Dr. Rafael Ma. Moscoso National Botanical Garden and the Dominican Republic National Zoo. Patrons of the city’s museums can survey priceless relics, artworks and exhibits that display the nation’s sugarcane, tobacco, rum and whaling traditions. Bounded by the Caribbean Sea and the Atlantic Ocean, the country is a treasure trove of vast stretches of pristine sandy beaches. Ideally suited for surfers and other water sports enthusiasts with its soft sand and warm turquoise water, Playa del Macao’s is a classic Caribbean beach. It offers surfers both reef-point and beach breaks. For a change of pace, take one of the ATV tours that explore the surrounding areas behind the towering palm trees that line the beach. The nearby fishing village of El Macao provides a glimpse into the nation’s past. Local restaurants have been known to cook seafood pulled fresh from the ocean. The Dominican Republic has designated more than 25 percent of its countryside as nature preserves and marine sanctuaries. An exciting ecological adventure awaits those who explore La Caleta. This underwater national park provides snorkelers and SCUBA divers a matchless opportunity to explore the fascinating world located just offshore. There is a wide assortment of marine life, sunken wrecks, undersea caves and colourful coral reefs. Water enthusiast can also participate in other popular water activities, such as kite boarding, wind surfing and deep-sea fishing. The Central Highlands region offers a cool mountainous playground for those looking to escape from the sun and surf of the beach. In addition to white-water rafting and canyoning, visitors can trek to the summit of Pico Duarte. Eco-tourists will be mesmerized by the flora and fauna found within the country’s nine distinct environmental zones. Guests can take advantage of the many hiking, biking and horseback trails that crisscross the landscape. Visitors can explore rock formations, volcanic craters, mountain lakes and waterfalls. 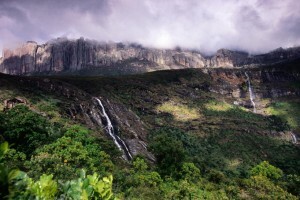 The ecological microcosm includes mountains, deserts and rainforests.